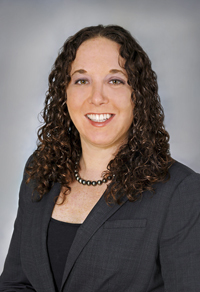 Volunteer Inspiring Pro Bono (VIP): Colleen Miller, Esq. TVC's Regional CAVC Training for New Volunteers: "Pro Bono Representation before the U.S. Court of Appeals for Veterans Claims"
WE ARE SEEKING AN EXTERN to receive academic credit to help us win federal appeals cases for our clients, to help with military discharge upgrades ("bad paper" discharges), and to assist with determining the final outcomes of client cases. The extern will support full-time staff attorneys, volunteer attorneys, and clients who appeal to, or receive a remand from the U.S. Court of Appeals for Veterans Claims, the Federal Circuit, and the Supreme Court. The selected extern will assist in the full lifecycle of case management, from intake to research and strategy, to Court mandate and follow-up to determine real-world results and impact. Although any student may apply, we give priority to rising 3L students. We are open to externships that count for either one course per semester, or two courses per semester, depending on your law school's current arrangements and preference. Please address the following questions in your cover letter: Why do you want to work in the area of veterans law? What is your motivation to work with veterans and their families, caregivers, or survivors? What sets you apart from other candidates? SUBMIT A COVER LETTER AND RESUME detailing your interest and motivation to Courtney Smith, at Courtney.Smith@vetsprobono.org. You may also contact Courtney for answers to questions or additional information. Applications should be emailed by 1 September 2018, for the Fall 2018 semester and 15 December 2018 for the Spring 2019 semester. Quarles & Brady LLP, was looking to replace a national pro bono project that was ending when a client suggested helping veterans. The idea resonated with Colleen Miller, a commercial litigation partner and chairwoman of the Tampa, FL., office's charity/community initiatives, because she was raised in a military household. She began to dig around for opportunities and her research turned up The Veterans Consortium. "I thought the program sounded phenomenal, she recalls. She did more research, connected with TVC staff members, attended a training session and dove right in. She took a U.S. Court of Appeals for Veterans Claims case through the Pro Bono Program and set up training sessions at her firm's Milwaukee and Tampa offices involving over 130 lawyers, including some from the firm's eight other locations. For her effort, enthusiasm, and tireless dedication to serving our nation's veterans above and beyond the call of duty, Miller has been selected as The Veterans Consortium Volunteer Inspiring Pro Bono (VIP) for July 2018. Miller's first case involved a Korean War veteran seeking compensation for tinnitus caused by continual exposure to extreme noise while securing jets on aircraft carriers. She printed out copies of related case law and headed to the Black Crow Coffee Company in the Historic Old Northeast neighborhood of St. Petersburg, Fla., one sunny Saturday in July 2017. She whipped through them, highlighting things that might be helpful to her case. She saw a man who appeared to be vacating his "prime real estate" table by the window and asked if he was leaving. He asked if she was a teacher. When she told him she was a lawyer and what she was doing, he said, "I need to talk to you." It turns out the man was a homeless veteran with an Other Than Honorable discharge due to mental illness. He told Miller he was unable to get the benefits he needed. Miller called Danica Gonzalves, Esq., Equal Justice Works Fellow and TVC Discharge Upgrade ProgramSM manager who, with the man's permission, was able to obtain his records to see what was going on. "His story was exactly as he told it, and then some, says Miller, 36. "He tried to get help before his discharge, and he tried to obtain emergency leave." Miller took the case and will pursue a discharge upgrade on his behalf. "It's the coolest case, it's just so random that we met, says Miller, a graduate of University of Miami School of Law. "It really showed me, there's a reason I'm doing what I'm doing." Courtney Smith, Esq., director of outreach and education for TVC, says the way Quarles & Brady have embraced the pro bono work with veterans has been remarkable. "It is an incredible opportunity for us to work with some exemplary lawyers who are using their time, talent and resources to help our veterans, Smith says. "Colleen Miller is an outstanding advocate and we are so pleased to have her as part of our team. This is a well-earned recognition as truly she is an inspiring pro bono attorney." In her free time, Miller, a native of Ft. Walton Beach, Fla., likes to compete in open-water swims and charity bike rides. She lives in St. Petersburg with her husband, two cats and an adopted, retired, racing greyhound. 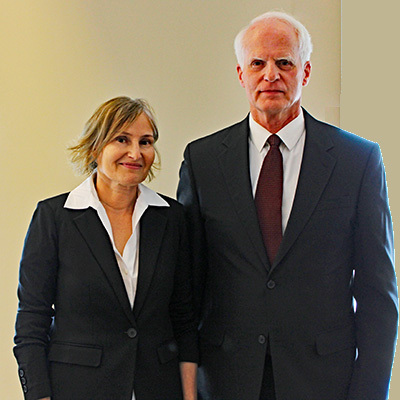 Judge Margaret Bartley and David C. Henderson, Partner Nutter McClennen & Fish, Boston. 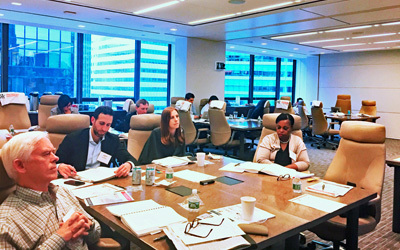 Our Summer CAVC Pro Bono Program Regional Training was a great success and took place in two locations simultaneously with more than 45 participants. Nutter McClennen & Fish LLP generously hosted and sponsored the "live" training in Boston and Loeb & Loeb LLP hosted and sponsored the webcasted training in New York. 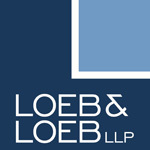 Special thanks to David C. Henderson and Colleen Bidgood of Nutter McClennen & Fish LLP and Jon Hollis of Loeb & Loeb LLP for planning seamless events in both locations. David Henderson and Jon Hollis are themselves veterans and members of our TVC National Volunteer CorpsSM and Hollis recently won a case for a veteran. Both firms have a strong culture of pro bono service to veterans and we are proud to count them as mission partners and to extend a warm welcome the newest members of the TVC National Volunteer CorpsSM! Summer is a favorite time of year for The Veterans Consortium staff because in addition to the long-awaited warm weather, we also get to welcome a David Isbell Intern to the team. The David Isbell internship is a part of the TVC Legal Scholars ProgramSM and is named after our first chairman of the Executive Board and Korean War veteran, Mr. David Isbell, Esq. Mr. Isbell was a partner in the D.C. law firm Covington & Burling. 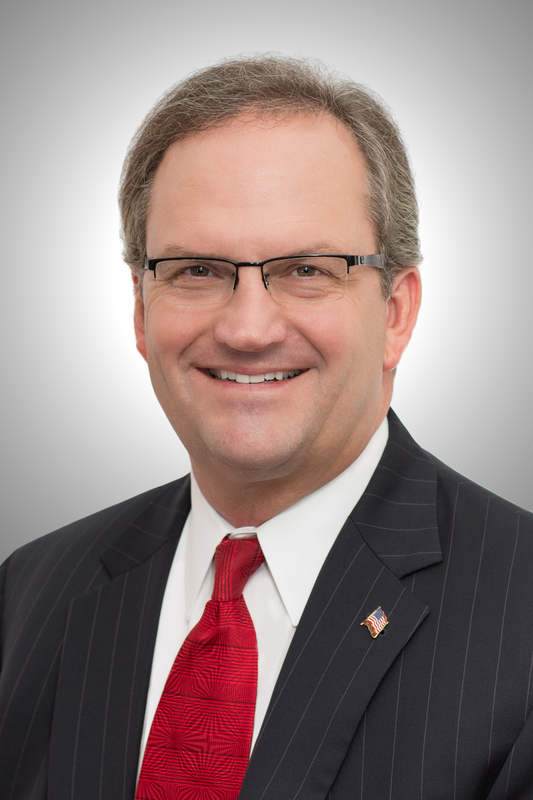 He was an authority on legal ethics and offered his pro bono time to work on veterans benefits cases. Mr. Isbell is considered a Founding Father of The Veterans Consortium. The internship provides an opportunity for a law student to gain experience in veterans law by assisting our staff attorneys in screening cases, reviewing records and writing screening memos. This year we were thrilled to have Katie Becker, a rising 3rd year law student at Syracuse University, work alongside us for the summer. 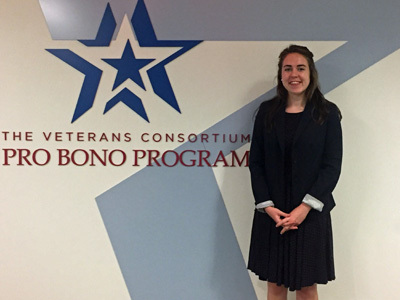 Katie discovered her passion for veterans law through her personal relationships with veterans, which prompted her to apply for the Wohl Family Veterans Legal Clinic at Syracuse. During her involvement in the clinic, she developed an affection for her clients as their "rough around the edges" personalities reminded her of her grandfather, a World War II Army veteran. The major motivator, however, was her time as a volunteer for a soup kitchen in New York. "One of the volunteers at the soup kitchen was a former Navy Seal who suffered from PTSD and would tell stories from his time in service in between washing dishes. I was so inspired by him and his dedication to volunteering, and he always in my mind when I thought about pursuing a career in veterans law," Katie said. Katie's time at TVC affirmed her desire to work in veterans law. She reflected on her experience and said, "I have learned first-hand about the intricacies of service-connected injuries, many of which I knew nothing about. I've also enjoyed seeing how arguments are formulated and interconnected. These types of cases are more legal based, which is harder but more enjoyable. Previously, I had only seen cases from the [Department of Veterans Affairs] Regional Office perspective, so I was able to gain a big picture understanding of the lifecycle of a claim. This work has given me a great foundation and is going to be very valuable in my career." Want to apply for the David Isbell Summer Internship 2019? Send a cover letter, resume, unofficial law school transcript, and writing sample to Courtney Smith, Director of Volunteer Outreach & Education, at: Courtney.Smith@vetsprobono.org. Please mark your calendars for the 2018 Pro Bono Mission Partner Awards Reception & Fireside Chat! 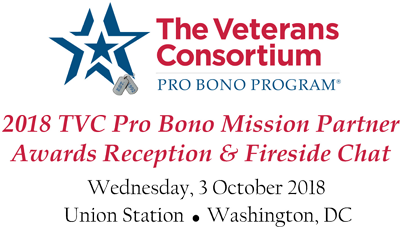 October is fast approaching and we are gearing up for our annual TVC Pro Bono Mission Partner Awards Reception. We are excited about this opportunity to once again celebrate our TVC National Volunteer CorpsSM and our supporters who are making a tangible difference in the lives of veterans in need. During this special evening, we will recognize regional and national leadership by example with TVC Law Firm Pro Bono Mission Partner awards, TVC Law Firm/Corporate Pro Bono Mission Partner team awards, and TVC Chairman's awards for outstanding service. Stay tuned for our announcement on the awardees. The awards program will be followed by a Fireside Chat hosted by our Master of Ceremonies, Lee Woodruff, acclaimed author and journalist and co-founder of the Bob Woodruff Foundation. We're looking forward to sharing this inspiring evening with you so please mark your calendars and be sure to join us. Please consider a sponsorship. Your investment will make it possible for us to continue critical services to veterans, and to help meet the record level of requests for legal services we are receiving and consequently the growing number of cases we are placing with pro bono attorneys. For information about the event and sponsorship opportunities, please click here. Contact TVC, a national 501(c)(3) charity celebrating 25 years of pro bono legal services to U.S. veterans and their loved ones in federal venues. Our website:www.vetsprobono.org.